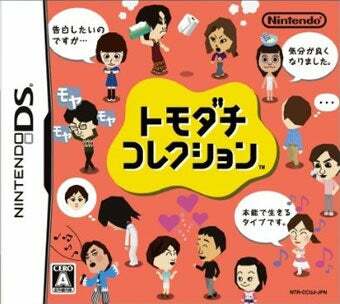 Japan Chooses Miis! Pokemon Is Defeated! Who can dethrone Pokemons Heart Gold and Soul Silver in Japan? Only Tomodachi Collection, the Mii collecting game for the Nintendo DS that shipped in June, a title that led a slow week of releases that included Halo 3: ODST. Bungie's latest Halo outing managed to squeak into the Media Create top ten, moving 30,000 copies in Japan in its debut week. That's about half of what Halo 3 did when the game launched over there nearly two years ago. Given the slow week, there's not much activity on the Media Create software sales charts, but at least the top ten is a nice blend of multiplatform releases. Below are Japan's bestselling games for the week of September 21 to 27.